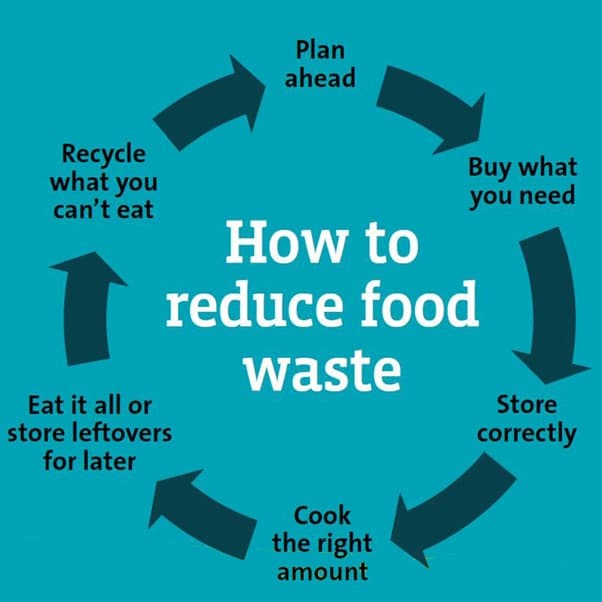 Recycling food waste is the law, it helps the environment and it saves disposal costs. The brown bin is for recycling your food waste. 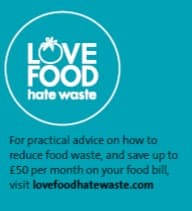 Food waste must be placed into your brown bin. 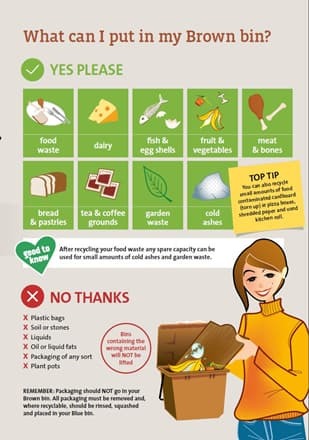 After recycling your food waste any spare capacity can be used for small amounts of cold ashes and garden waste. For more information please click here to download the brown bin leaflet attached. Contamination is a serious problem and can lead to tonnes of recyclable material being landfilled. We will not collect brown bins containing the wrong material. 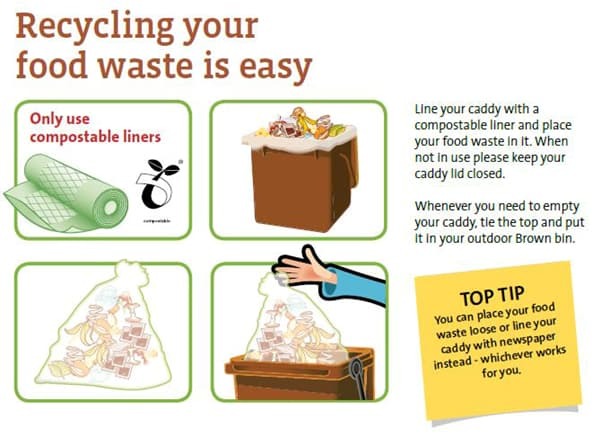 You do not have to use liners in your brown bin. You can place food loose in the brown bin or line it with newspaper. If you choose to use liners, you must use only compostable liners which bear the seedling logo. These liners are currently available free of charge at Council buildings, a signature will be required. or they can be bought in many local shops and supermarkets. For more information about your brown bin please click here. Are You Surprised At The Amount Of Food Waste You Have?